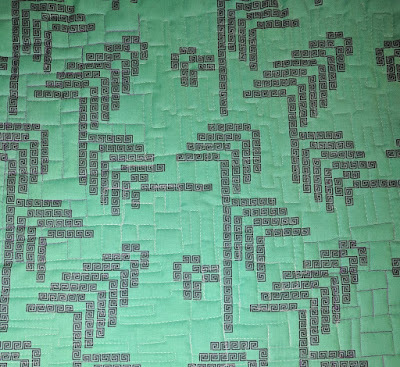 Are you quilting along with the Central Jersey Modern Quilt Guild? It's super easy and fun! 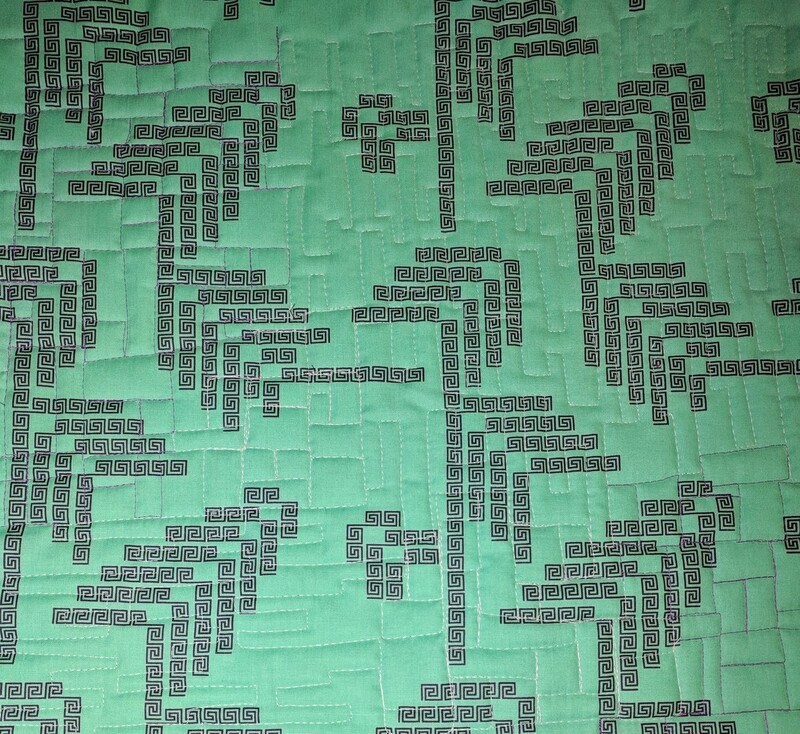 Every month, I post several links to tutorials in this Google Doc for the Modern Free Motion Quilt Along. Each month has a theme, and you choose your current free motion quilting skill level to follow a tutorial or two. Our goal is to practice free motion throughout the year and come out on the other side with a small sampler quilt. At guild meetings, we're bringing our quilt sandwiches in to share, and you can share from afar (outside the guild) on Instagram with the hashtags #modernfmqqal and #cjmqg. Find out all the details on this page over on my guild's website. All fun, all FMQ, all year! February's theme is "bricks." I really had fun time choosing threads to make sure they contrasted with my fabrics (I want my hard work to show up!). 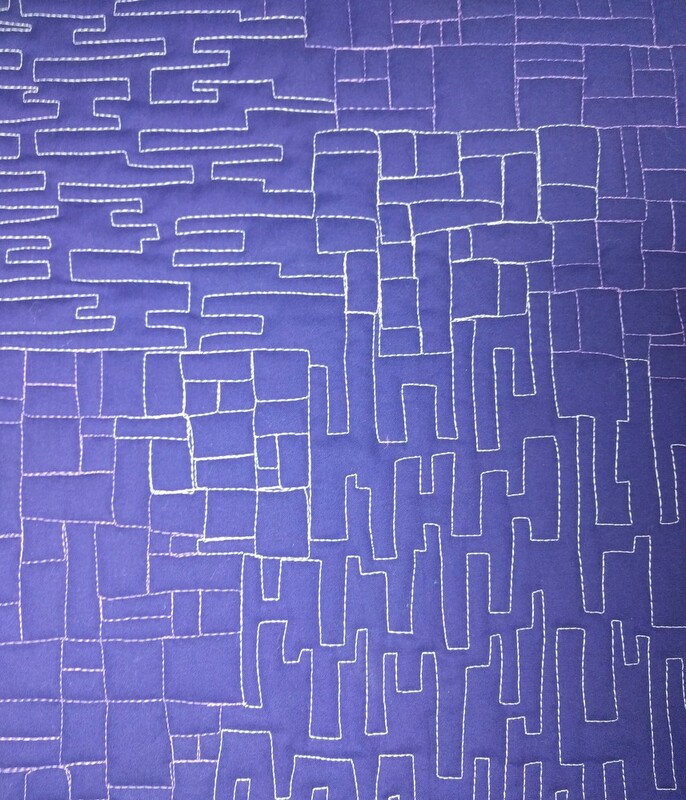 This is a beautiful purple solid from my stash, and I used Aurifil white (2024) and Violet (2520) to quilt it up. I'm trying out 1-2 (dare I say 3?) motifs for each month; I want my sampler quilt to showcase lots of motifs. This month, I chose the beginner and confident beginner/intermediate tutorials because I love how they look (so feel free to break out of your skill level!). It's a combination of The Brick Wall Tutorial by Lori Kennedy (The Inbox Jaunt) and the Planks FMQ Tutorial by Christina Cameli. 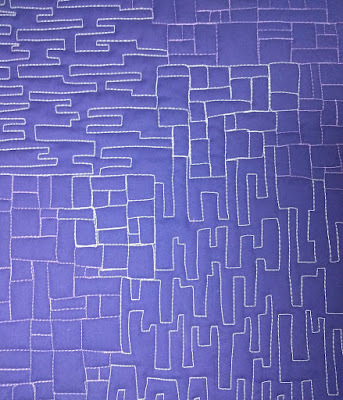 The options for quilting these motifs are truly endless. I'm excited to show my quilt sandwich at the February meeting in two weeks' time and to see what others have made! You can see more from our January guild meeting here (17 members brought quilt sandwiches in!). See my January quilt sandwich (month 1) here. Are you going to quilt some bricks this month?